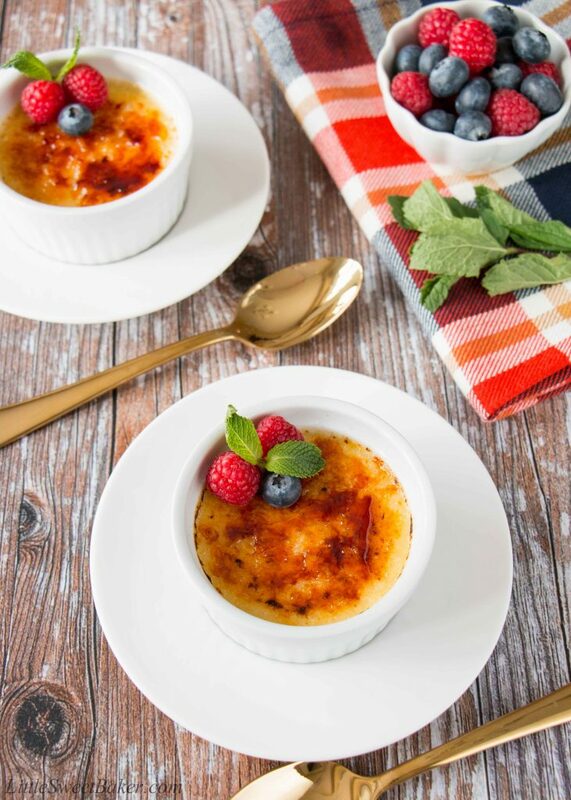 This incredibly easy creme brulee is rich and creamy with a wonderfully crunchy burnt-sugar shell. 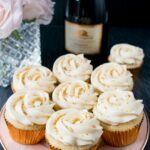 This recipe has only 4 ingredients and is straightforward as can be. 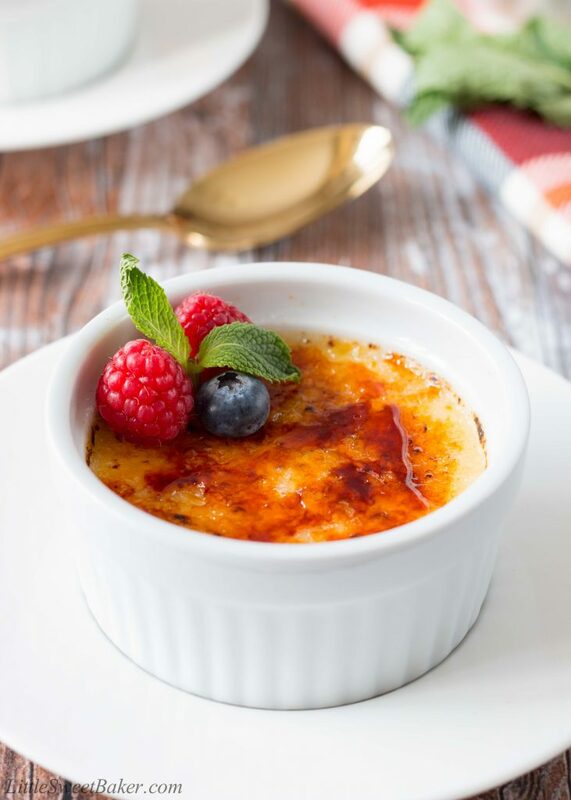 Creme brulee is my ultimate favorite dessert. It always has been for as long as I can remember. If it’s on the menu, I’m ordering it, no matter how full I am. There is always room for creme brulee is my belly! My favorite part is cracking through that hard candy shell. Just the sound gets me excited. And then digging into that thick creamy custard underneath is just heaven. 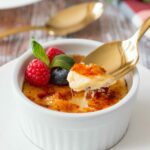 Most creme brulee recipes require you to scald the cream and temper the eggs which can be a little tricky because if you are not careful you can scorch the cream and/or end up with scrambled eggs. This recipe from Kevin is Cooking uses room temperature cream and eggs. You just beat everything together and that’s it. It’s much quicker and less risky to make. Yet the result is just as delicious as any traditional recipe. I think what makes this dessert so special is the contrast between the crunchy-creamy texture, and the soft custard flavour with the bold burnt sugar taste. 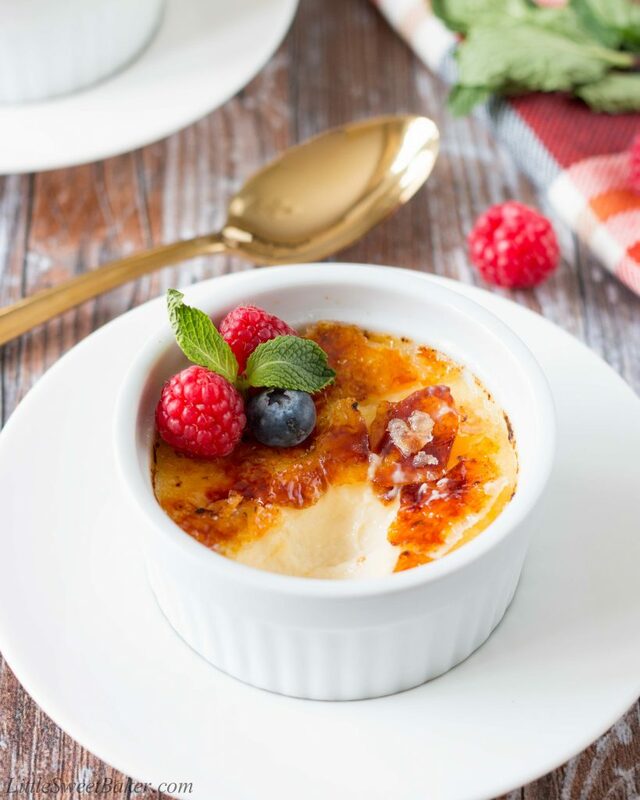 The custard in this creme brulee is thick, rich and creamy. It’s silky-smooth with a velvety finish. 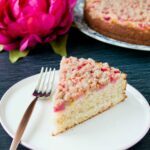 The hard candy topping is delightfully brittle with a deep-warm caramel flavour. 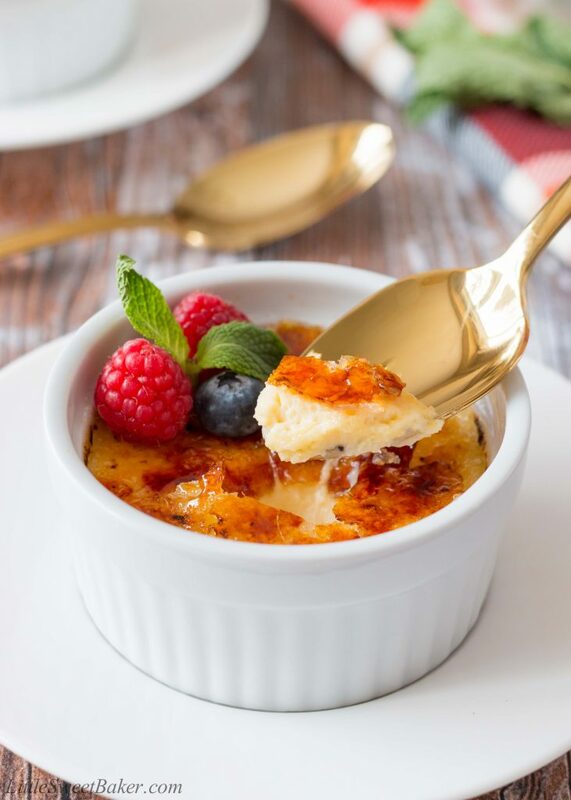 This incredibly easy crème brûlée rich and creamy with a wonderfully crunchy burnt-sugar shell. 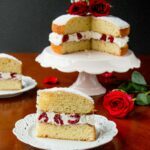 This recipe has only 4 ingredients and is straightforward as can be. Strain the mixture through a fine mesh sieve if desired to get rid of any foam or chalazae from the eggs. Divide the mixture into 4 ramekins. Place the ramekins into a square baking dish and carefully fill halfway with hot water. Bake for 45-55 minutes or until the custard is set. Carefully remove the ramekins from the water bath and let cool on a wire rack. Chill for at least 2 hours in the fridge. Prior to serving, sprinkle about 1 1/2 tsp of sugar over each custard top. Using a small, hand-held torch melt the sugar until its caramelized. If you don’t have a torch, place under the broiler until sugar melts (about 4-5 minutes and keep a close eye). The baked custard can be stored covered up in the fridge for up to 2 days.